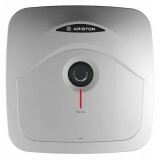 Ariston Storage Water Heater Andris 15 R ARISTON's latest Andris R series is the epitome of luxury and functionality, breathing new life into the conventional water heater. 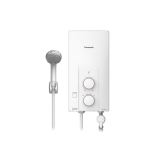 While boasting a luxurious design by Italian designer Umberto Palermo, the Andris R series also promi..
Ariston Storage Water Heater Andris 30 R ARISTON's latest Andris R series is the epitome of luxury and functionality, breathing new life into the conventional water heater. While boasting a luxurious design by Italian designer Umberto Palermo, the Andris R series also promi..
Ariston Storage Water Heater Andris LUX 15 Experience the stunning synthesis of form and function. The Italian Ariston Lux is made with super-ecologic insulation materials and energy can be better conserved through its improved titanium-enamel tank. 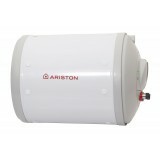 Its shell technology –..
Ariston Storage Water Heater Andris LUX 30 Experience the stunning synthesis of form and function. 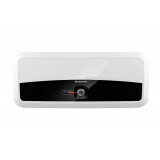 The Italian Ariston Lux is made with super-ecologic insulation materials and energy can be better conserved through its improved titanium-enamel tank. 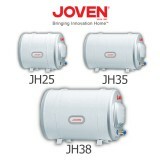 Its shell technology –..
Customised design for Singaporeans' homes (HDB & Condominium) Italian designed to suit any kind of bathroom decorations, no longer a need to hide unsightly water heaters Now at 30L, the Slim 30 has bigger capacity, providing more comfort Ag+ Silver Ions with anti- ba..
Ariston Storage Water Heater INOX AA Ariston Inox heaters are designed to withstand the test of time. 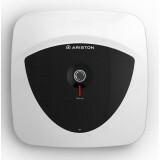 With non-magnetic, stainless steel inner containers, Ariston Inox heaters are corrosion resistant, hygienic and strong. 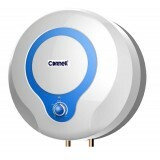 Non-corrosive polypropylenes finishing furthe..
Cornell CSH-E15LV Storage Heater Power: 2000W/ 220-230V / 50/60Hz 15L / Enamel Tank / Copper Heating Element Rated Max Temp – 75 Degree Rated Pressure (Mpa) – 0.80 dimension of the Anode – &Ph..
Cornell CSH-E25LV Storage Heater Power: 2000W/ 220-230V / 50/60Hz 25L / Enamel Tank / Copper Heating Element Rated Max Temp – 75 Degree Rated Pressure (Mpa) – 0.80 dimension of the Anode &nda..
Joven Horizontal Series JH Storage Water Heater Stainless Steel Heater Tank for Rust Free Water Premium quality grade stainless steel heater tank which ensures constantly clean water flow CFC Free High Density Polyurethane Foam CFC free high ..